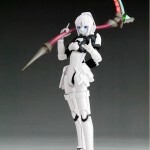 Kotobukiya’s Facebook Page has added new photos and info for an upcoming Phantasy Star Online RAcaseal Whitill Ver. Model Kit. A Kotobukiya Japanese import! 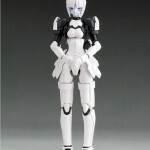 Up next from Sega’s popular Phantasy Star Online series is the third model kit and member of the “RAcaseal” elite female android ranger class, Blue Burst Racaseal Whitill Ver.! 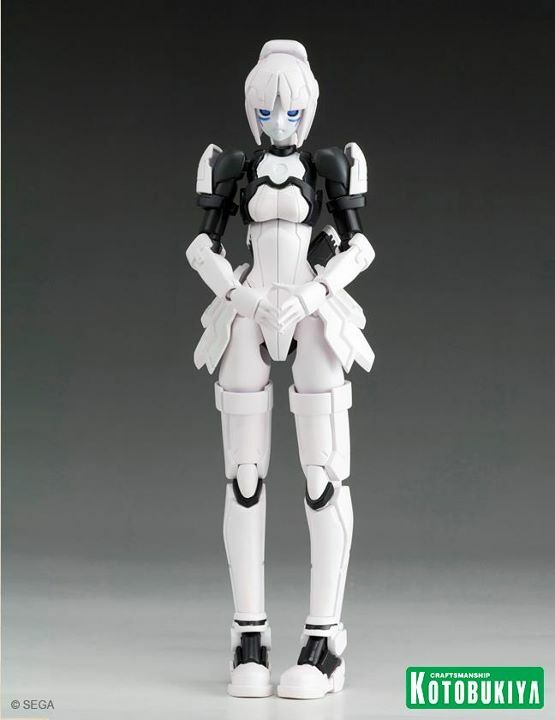 Like Elenor and Shino before her, Whitill is a humanoid robot wearing elements of a traditional French maid outfit. Sculpted by Apsy Masaki, she stands nearly 5 ½ inches tall (1/12 scale), and is comprised of approximately 250 individual pieces. With sophisticated joints and a top notch sculpt Whitill has 30 points of articulation for extreme poseability! When it comes time to fight you can outfit your RAcaseal with a variety of parts and weapons (including new interchangeable parts) to create a wide range of action poses. Whitill is easy to put together with snap-fit assembly that requires no glue, and parts cast in multiple colors mean that painting isn’t necessary. Best of all, her striking black and white color scheme looks great next to the previously released Elenor and Shino (sold separately)! Too bad I do not have the patience for model kits. 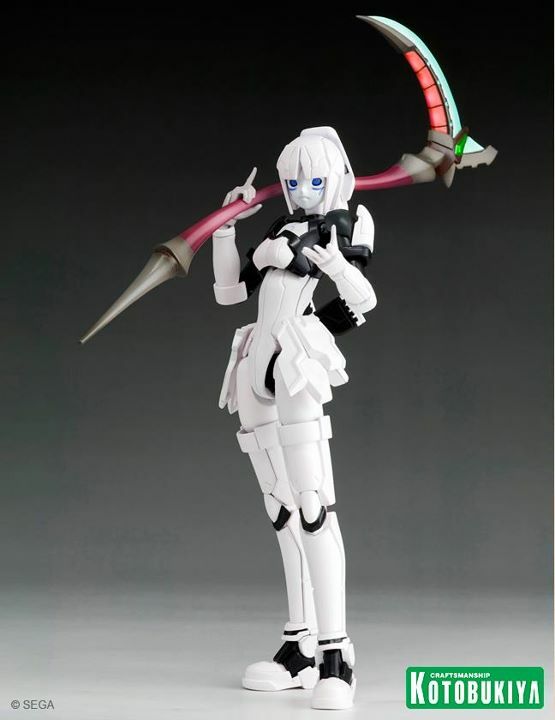 Why oh why can't we get some PSO Figmas or something?